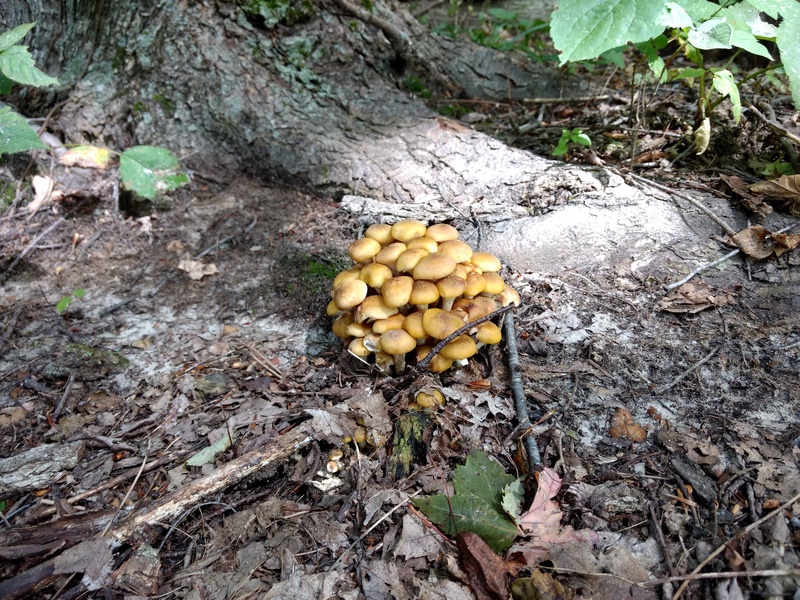 Armillaria mushrooms go by many names, most of them some iteration of honey mushrooms or stump mushrooms. They fruit in large clusters on dead stumps, sometimes appearing to come from the ground as they fruit from the roots of a nearby stump. These are a favorite fall mushroom for many foragers. But make sure you know what to look for. Because there are toxic mushrooms that can look similar upon first glance, it is very important to positively identify these mushrooms before consuming them. 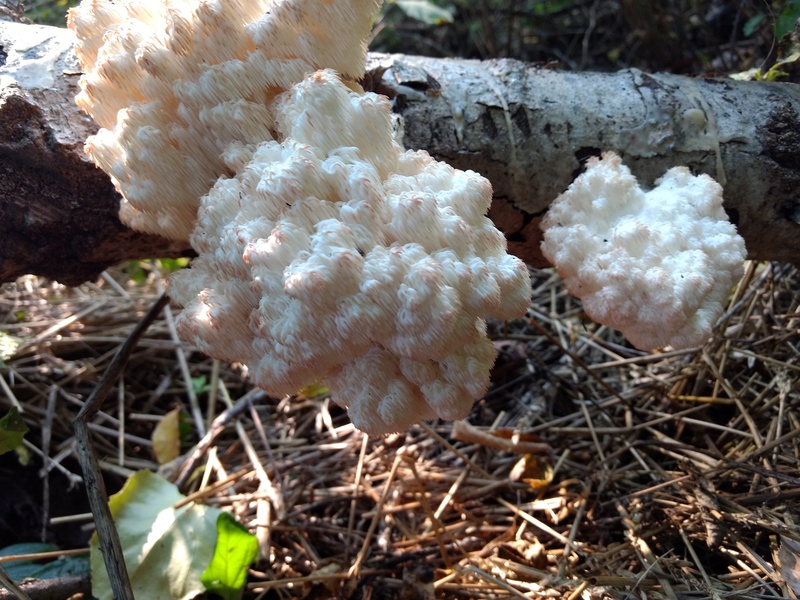 Hericium mushrooms are a group of edible mushrooms that fruit in the fall. They all look like white balls of fungus crystals or fungus icicles stuck to the side of a dead standing or leaning tree. They have very descriptive names like lion’s mane, bear’s head, and comb tooth. As a group, these mushrooms taste a bit like shrimp or lobster. And, unlike Armillaria mushrooms, Hericium mushrooms don’t look similar to any toxic mushrooms. 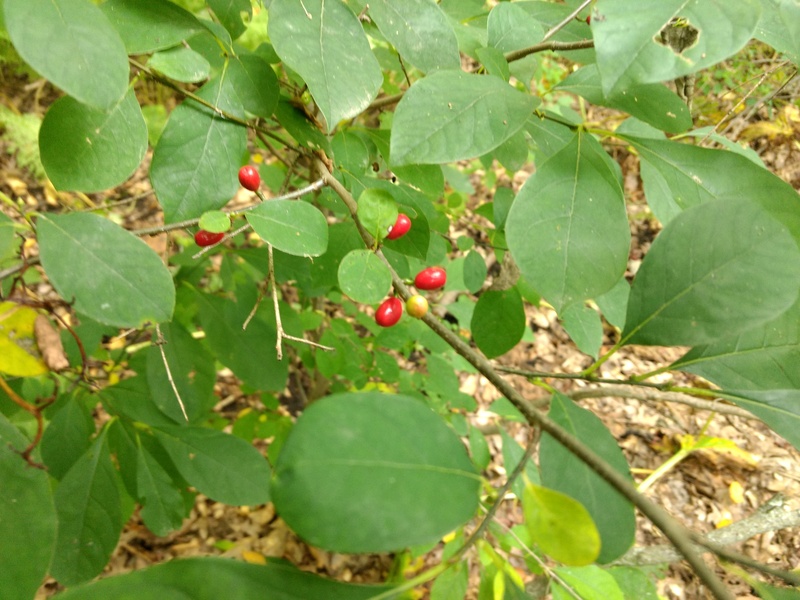 Spicebush berries and Wild Ginger root are both amazing seasonings. They are wonderful together, and can also be combined with spices like cinnamon, ginger, cardamom, nutmeg, clove, allspice, anise, prickly ash, or sassafras. Use them in teas, or infuse them to make spiced rum or whiskey. Or dry them, grind them, and use them to make spiced muffins or ice cream. 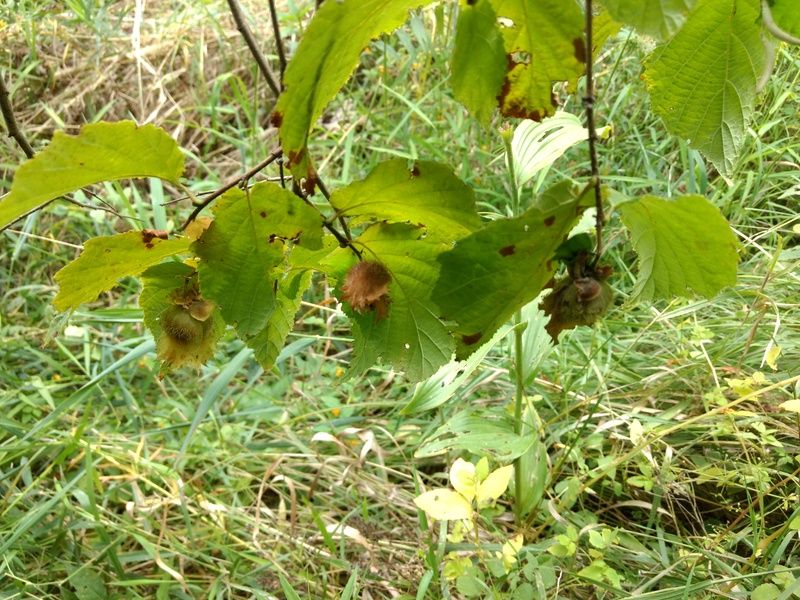 Hazels are fruiting prolifically this year throughout the Great Lakes region. Clay Bowers, (www.nomiforager.com), is the best nut forager I know. He advises that it is best to harvest hazels when the husks are still green but the nut inside is brown. 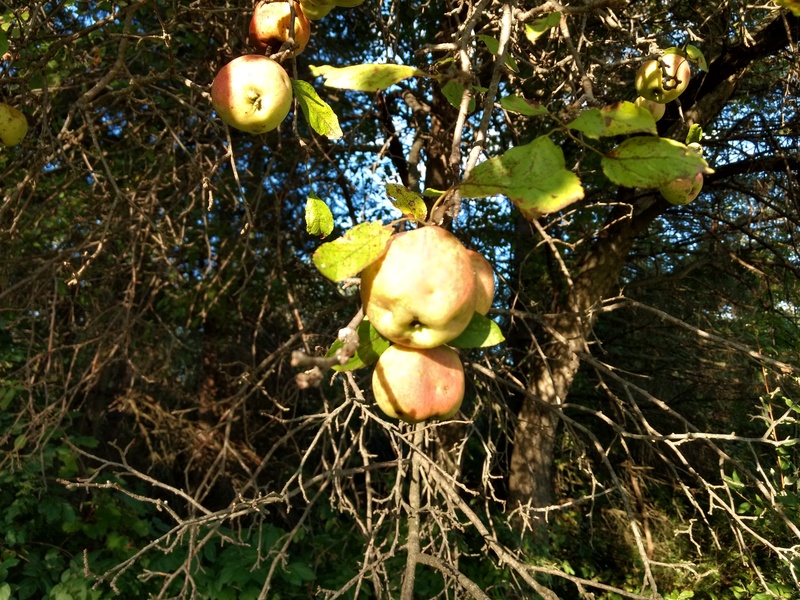 If you harvest sooner, the nuts will not be ripe. If you wait for the husks to turn brown, you are unlikely to get any nuts. 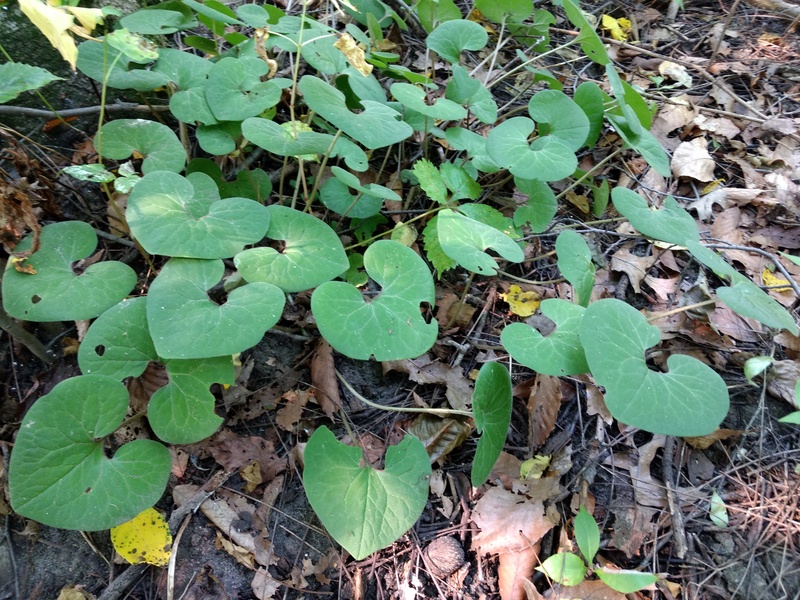 They will all be there, looking almost brown, and then suddenly they will just disappear… Wait…I wonder if this has anything to do with the mayapple elves?